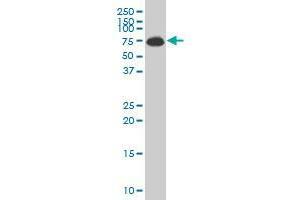 ALAS1 monoclonal antibody (M01), clone 3G10 Western Blot analysis of ALAS1 expression in JAR . 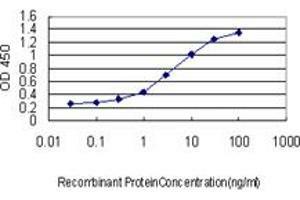 Detection limit for recombinant GST tagged ALAS1 is approximately 0.1ng/ml as a capture antibody. 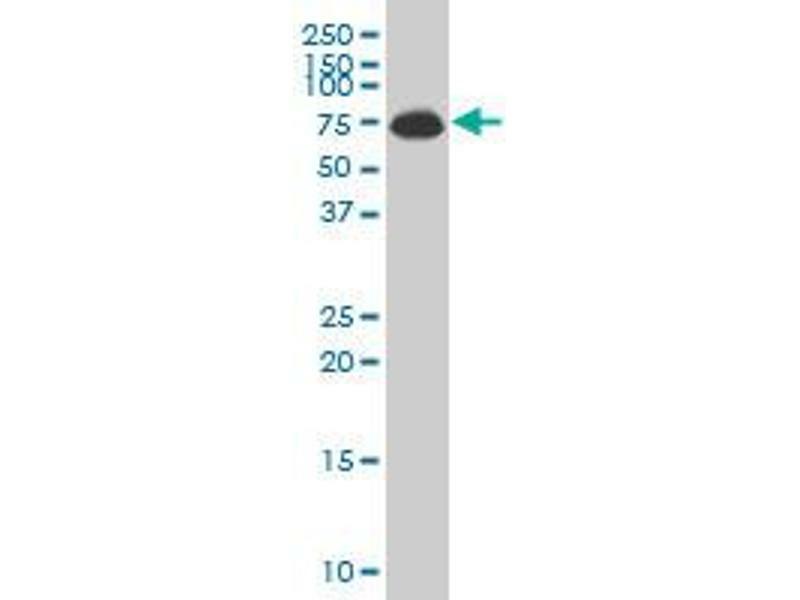 Western Blot detection against Immunogen (36.52 KDa) . 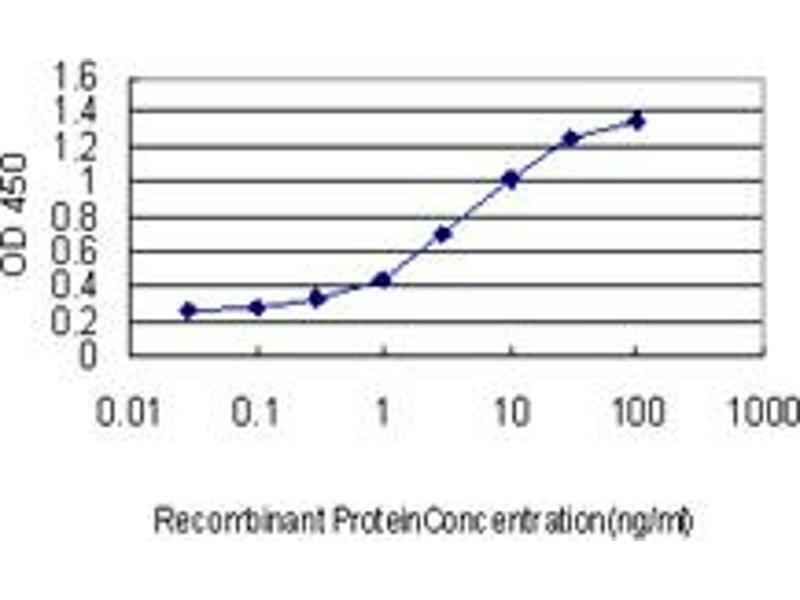 Immunogène ALAS1 (NP_000679, 1 a.a. ~ 98 a.a) partial recombinant protein with GST tag. MW of the GST tag alone is 26 KDa.